The results are in for the 2017 Bishop & Associates European Customer Satisfaction Survey of the Electronic Connector Industry. We reveal the top 10 European connector suppliers for On-Time Delivery and Overall Website Usability. Bishop & Associates has completed its biennial European customer survey, which evaluated 46 connector manufacturers. A total of 337 of your peers answered 18 questions relating to important issues, including: quality, pricing, delivery, lead times, technical support, and more. Survey participants were asked: What is your level of satisfaction with the performance in meeting promised ship dates? The following table identifies the top 10 companies that received the highest customer evaluations for best performance in meeting promised ship dates and total responses. Note: *6.000 is the highest possible score. Samtec, Yamaichi Electronics, and Phoenix Contact respectively placed first, second, and third in the 2017 European Customer Survey for on-time delivery. New to this year’s list are: Yamaichi Electronics, Phoenix Contact, Rosenberger, WAGO, Binder, HUBER+SUHNER, and CONEC Corporation. The following table compares this year’s 10 top connector manufacturers recognized for meeting promised ship dates to their rankings from the previous four years in which this survey was conducted. Note: Asterisks (*) designate a tie. Samtec has placed first in the last five European surveys conducted. Phoenix Contact has placed in the top four in the last five surveys for meeting promised ship dates. Yamaichi Electronics has made the largest improvement in promised ship date ranking, moving from 28th in 2010 to 2nd in 2017. HARTING and Binder have also improved over this period, with HARTING moving from 18th in 2010 to 5TH in 2017, and Binder has moved from 21st in 2010 to 8th in 2017. 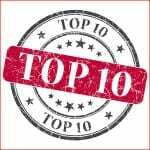 Seven of the Top 10 for on-time delivery are new to the Top 10 this year: Yamaichi Electronics, Phoenix Contact, Rosenberger, WAGO, Binder, HUBER+SUHNER, and CONEC. Survey participants were asked: What is your overall level of satisfaction with the usefulness of the company’s website? The following table identifies the companies that received the highest customer evaluations for website ease of use. Samtec, Molex, and Rosenberger placed first, second, and third respectively for best performance in website ease of use in the 2017 European Customer Survey. The following table is a comparison of this year’s rankings versus the previous four years. Samtec placed first in all five surveys. Molex, TE Connectivity, and Phoenix Contact have placed in the Top 10 in all five surveys for website ease of use. Fischer Connectors and Binder made their first appearance in the Top 10 this year. Fischer Connectors showed the greatest improvement in ranking, moving from 25th in 2015 to 10th in 2017. This is final of three articles related to the results of the 2017 Bishop & Associates European Customer Satisfaction Survey of the Electronic Connector Industry.